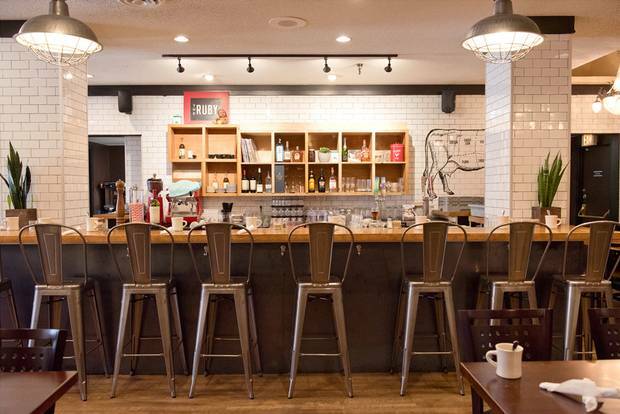 The Ruby has two locations in Victoria, both with comprehensive brunch menus, from quinoa porridge to duck confit and waffle. 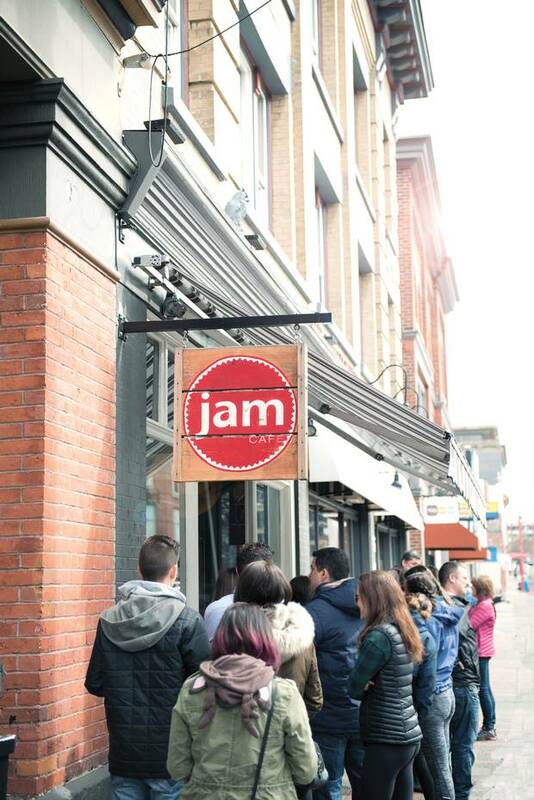 The queue forms early outside Victoria's Jam Café, a polite but hungry horde waiting for that first jolt of java and something poached or scrambled alongside a fresh buttermilk biscuit. It's the same scene at the Blue Fox Cafe, a popular breakfast joint set among the historic storefronts on Antique Row. You can't get a table at Shine Cafe and it's standing room only at Agrius – just another typical Tuesday morning in the brunch capital of Canada. Where, when and what people eat says a lot about a place, whether it's the soju-soaked street eats in Seoul or the lively brasseries of Paris. Victoria is a relaxed, historic kind of city, where locals linger over late breakfasts that stretch into the afternoon, almost any day of the week. According to the Food Network, "every second restaurant is a brunch place in Victoria," making it ground zero for egg-heads and the perfect place to explore the latest food trend, "brinner" (a.k.a. breakfast for dinner). Rebecca Wellman celebrates this Victoria obsession in her new book, First, We Brunch, an ode to the city's best places to break the fast. It's an essential guide for exploring Victoria's casual café culture, whether you're shopping in the eclectic downtown core, taking in the manicured gardens or biking down a tree-lined suburban street. 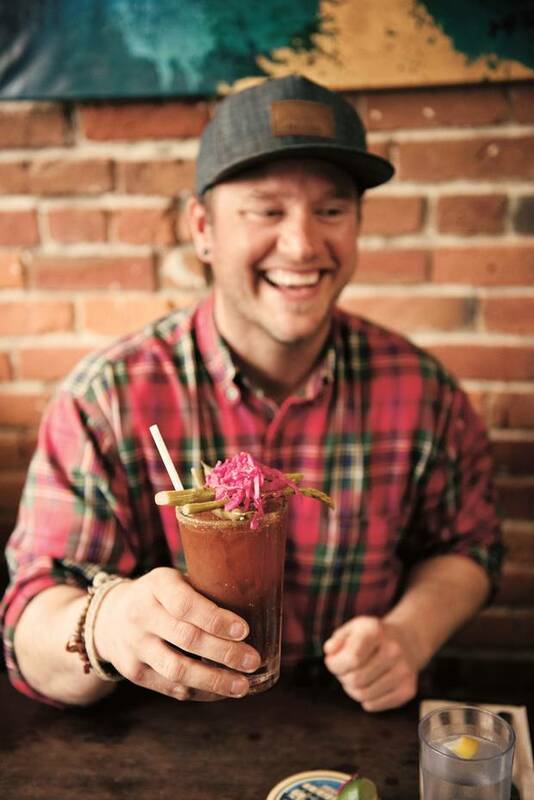 "Victoria is a breakfast/brunch/lunch town above all else," Wellman says. "We love our morning meals in Victoria." A local photographer, Wellman has spent a decade chronicling the city's food scene and takes readers to dozens of her favourite restaurants, bakeries and cafés. Included are profiles of some of the city's producers of morning-meal essentials – from fresh eggs and artisan sausages, to the best bacon, locally roasted coffee and tea – plus the spots locals go to grab a big breakfast sandwich on the run, and recipes collected from city chefs. With its growing collection of craft brewers and distillers, hip cocktail bars and cool cycling culture, Victoria is often compared to Portland, Ore. Victoria's restaurant scene is urbane but clearly West Coast casual, less Machiavellian and Michelin, more cool and collaborative. It's the kind of place where artisan bakers mill the organic flour for their breakfast breads at co-operative mills, small butchers create fresh sausages with pork from free-ranging island pigs and everyone has a good selection of local craft beer (and spirits) behind the bar. The proliferation, and success, of these small-scale, artisan products and microeateries is a function of the island lifestyle and mentality, where supporting other small entrepreneurs in a circular system becomes a necessity. "I think maybe there's an economic factor, too," Wellman says. "Victoria has a lot of students and young entrepreneurs who may not have the funds to do big dinners, but they do breakfast and lunch meetings here every day." "The most prominent demographic in the brunch crowd is 20- to 35-year-olds," she adds. "Brunch makes a very leisurely group gathering – it's almost as though it's replaced dinner." And that's what makes exploring the casual morning and afternoon food scene here so enticing. The range of morning options is vast, from the dedicated breakfast joints such as Jam Café, Mo:Lé, Floyd's Diner, the Village or the Blue Fox, to chef-driven restaurants such as Fishhook, Agrius, Vis-à-Vis and Saveur that have expanded their menus with eclectic breakfast fare. First, We Brunch is a good guide to what you'll find, from waffles and French toast, to all manner of breakfast tacos, wraps, frittatas, and bowls, morning meals that veer far beyond the usual bacon and eggs. Jam Café is a dedicated breakfast joint. Every breakfast spot has its own take on eggs Benedict – vegetarian versions, smoked-salmon or smoked-meat versions, poached eggs perched on crab cake or latkes, and all smothered in the requisite buttery (or vegan) Hollandaise. Breakfast in this still very British corner of Canada can veer into traditional territory, too – think potato scones with black pudding, rashers and eggs at Shine Café or the Blue Fox's classic eggs, bacon, sausages, fried potatoes and grilled tomatoes and mushrooms. As Victoria's brunch service extends well into the afternoon (or all day), eye-opening cocktails are often on the menu, making a long, late breakfast the equivalent of an early dinner. Expect morning mimosas, creative coastal Caesars bristling with spears of local seafood, boozy specialty coffees and citrusy margaritas, along with some unique concoctions, like the spicy tomato, orange and beer Michelada at Fuego Old Town Eatery or the citrusy Breakfast Uppercut cocktail with barrel-aged local gin and Earl Grey tea and mint syrups at Northern Quarter. Most of these independent eateries are clustered in the city's historic and walkable downtown area, so you can always indulge in a long, relaxing lie-in and a late morning feast. It's a great way to slow down and smell the roses – and the coffee. With its funky décor and killer menu (think buttermilk biscuit hash with ham, banana-and-Nutella-stuffed French toast, or pork-belly onion-jam Benedict), this spot has non-stop lineups but is worth the wait. In Old Town, on the edge of the downtown design district. 542 Herald St.
Fol Epi is an artisan bakery making stellar loaves and pastries using house-milled flours and, with the addition of Agrius restaurant downtown, now offers daily brunch items ranging from pierogi hash with lardon and brisket to croque-madame grilled ham and cheese topped with a fried egg. 732 Yates St.
Rotisserie chicken is the specialty here and it turns up on many of the breakfast items, from the Mexi Benny and breakfast tacos, to the breakfast hash with pulled mole-spiced chicken, black-bean salsa and eggs. 3110 Douglas St. and 642 Johnson St.
Breakfast all day (starting at 7:30 a.m.) is the claim to fame for this local haunt, where you will likely need to line up for their breakfasts of ambrosia apple oatmeal, buttered-banana-cream griddle cakes or Salish Salmon omelette. 919 Fort St.
Be Love specializes in healthy, raw and vegan cooking, so expect to be "elevated" by their morning menu that runs from raw sprouted-buckwheat Superfood Granola to the vegan benny with smoked tempeh with raw cashew-nut "Hollandaise." 1019 Blanshard St.
Locals love the Village restaurants for their creative all-day breakfast dishes(it's one of the spots that helped the city earn its brunch capital title), whether it's the spicy green or red shakshouka with eggs or the variety of bennies, served on local Mount Royal bagels or potato latkes. 2518 Estevan Ave. in Oak Bay. With its take-away bone-broth bar and creamy, turmeric-hued vegan Hollandaise on eggs Benedict (with bacon, chorizo or tempeh and a side of seasonal vegetables like kale, mushrooms and baked sweet potatoes), Nourish offers healthy breakfast choices for both vegans and committed carnivores, in a cozy, historic house near the harbour. 225 Quebec St. This second, waterfront location of the popular Fishhook has the space for big weekend breakfast crowds and a menu of original Indian-inspired brunch items – think 63-degree "slow eggs" with smoked sablefish and masala gravy, Dobosala eggs on fried chana paratha, or a mixed-brunch thali with salmon bacon pakoras and avocado raita. 407 Swift St. Chef Robert Cassels specializes in French-inspired, contemporary cuisine and elegant tasting menus, but also does beautiful brunch dishes, Wednesdays through Saturdays. Come for his breakfast risotto with maple crème fraîche, banana-bread French toast and the breakfast egg sandwich piled with duck bacon and duck confit, served with rosti potato. 658 Herald St.
Another local institution in the city's historic downtown area, Mo:Lé is the place for all-day breakfast/brunch made with creativity and local, organic ingredients. Bennies, omelettes, scrambles and healthy specialties, from the spelt banana pancakes to poached eggs with spicy, shredded tinga chicken on crisp tortillas, and big biscuit sandwiches topped with cheesy scrambled eggs, bacon, roasted peppers and house aioli. 554 Pandora Ave.